Says it all really! With a collection of 300; no matter how many I buy, how big my collection grows or how much money I spend... I fear this will ALWAYS be the case! 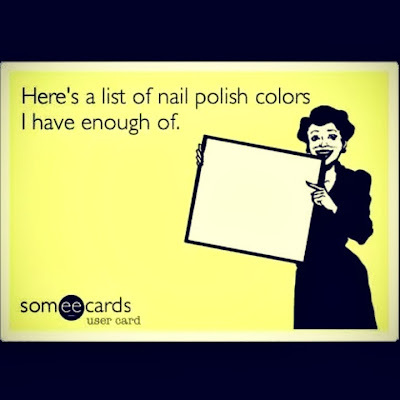 I just love my polish and there is always a new texture, formula, trend, glitter or holo that would just compliment your current collection perfectly... No?! Lol. How big is your collection??? British Nail Bloggers: I Hate Cleaning Up! TPC - Red, Orange & Yellow!